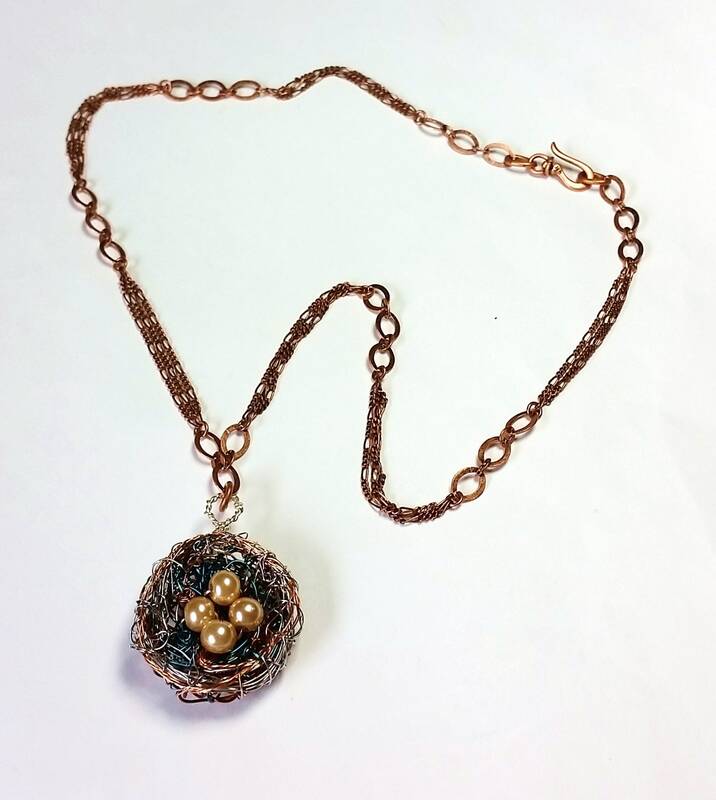 I recycled scrap wires that were trimmed from other projects to create this new pendant! 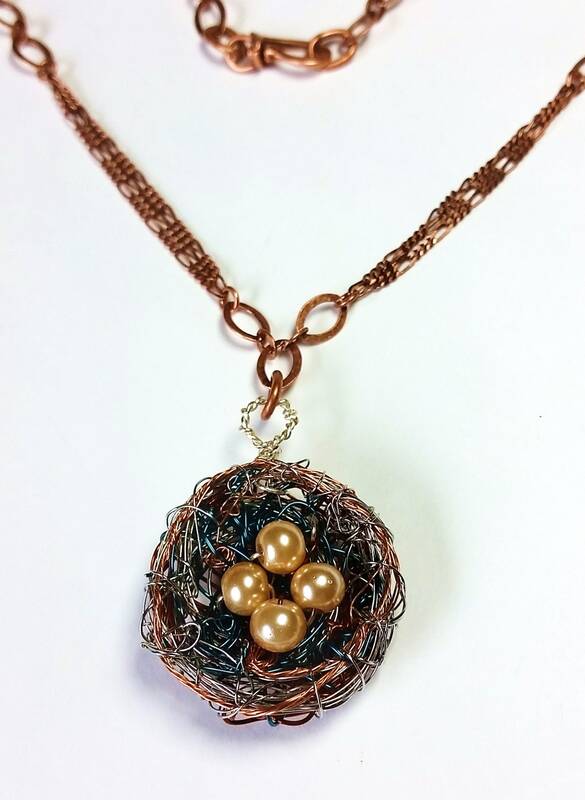 Wires of different colors including copper, silver and teal, are woven into a precious little nest to create a home for 4 natural pearl "eggs". 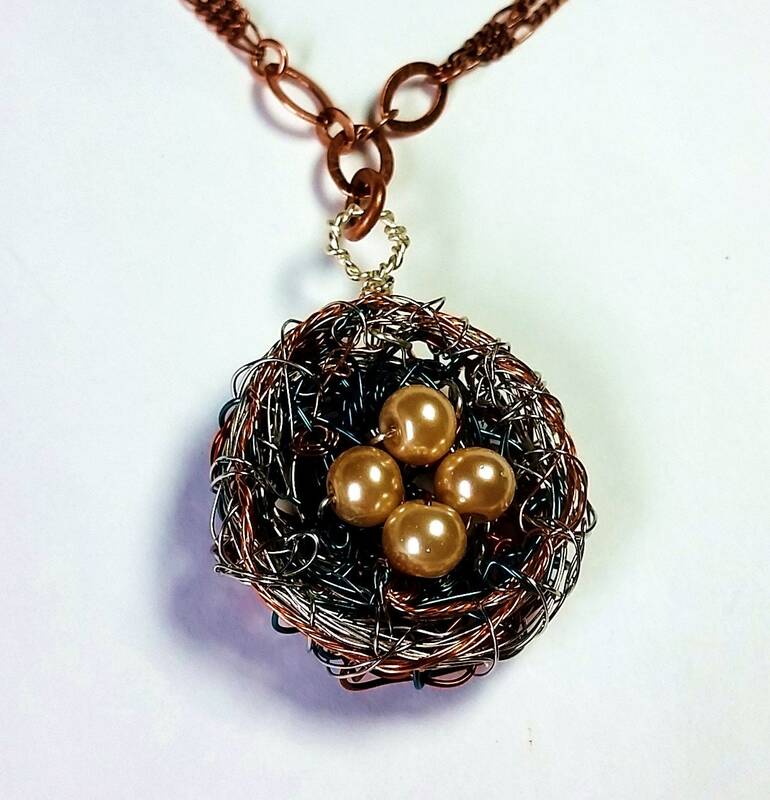 The height of the nest plus the handmade silvery bail is approx 1.5 inches. 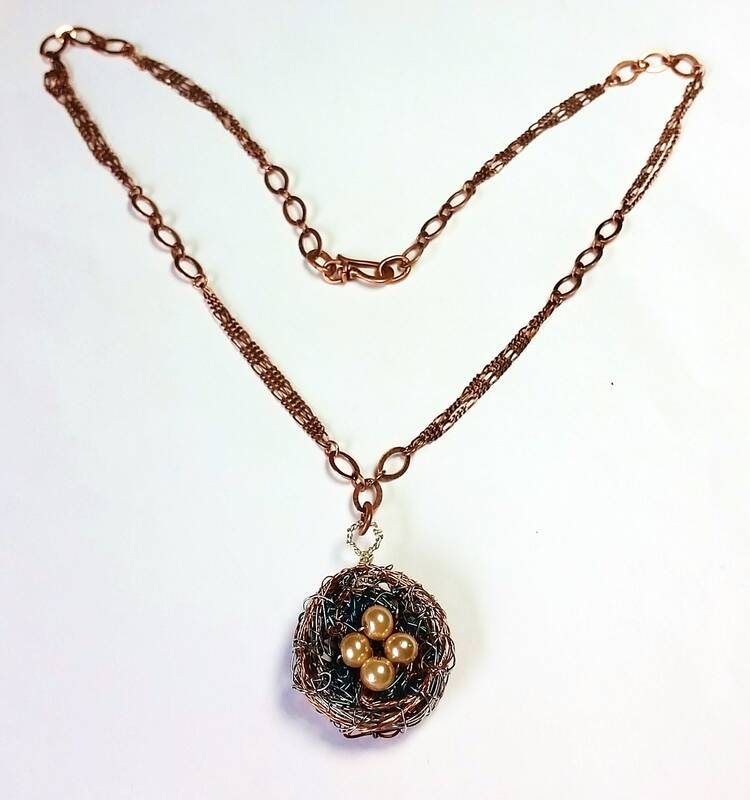 The nest width is approx. 1.33 inches. 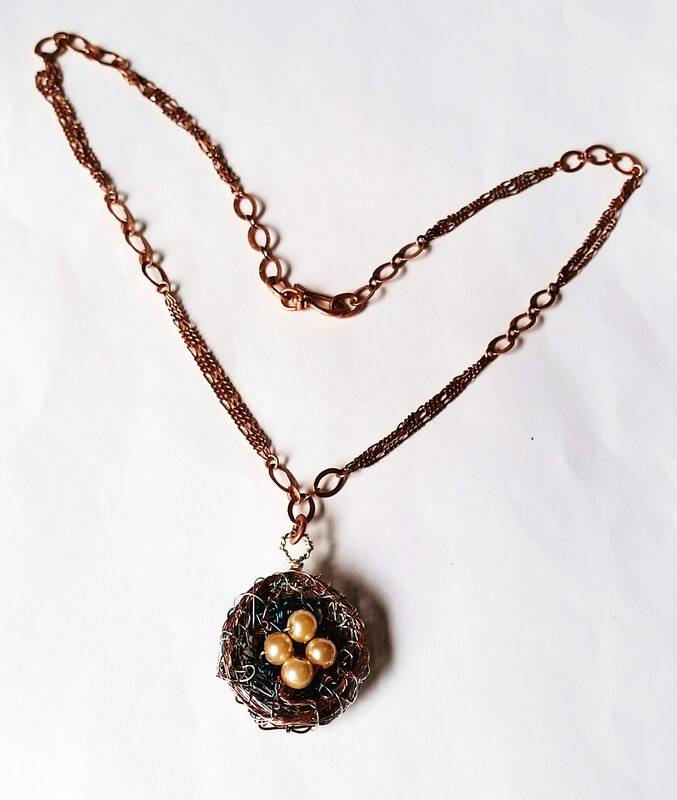 The pendant thickness is approx. 0.33 inches. 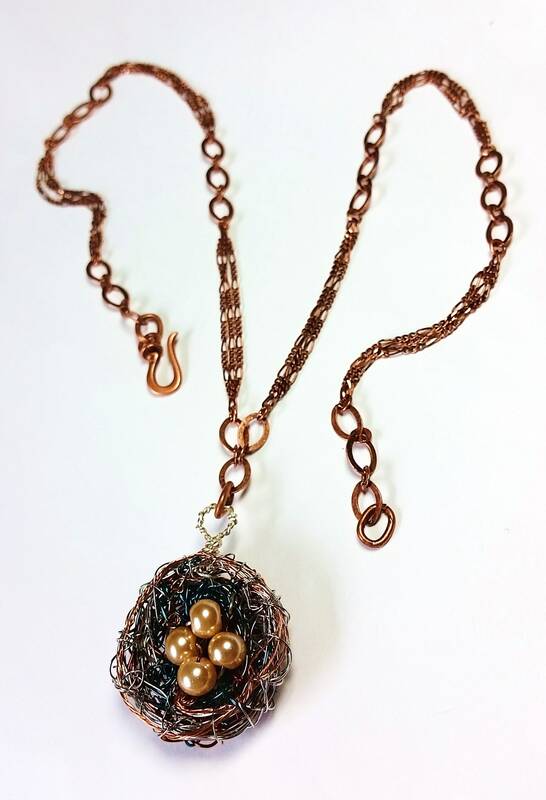 To feature this bird's nest of three colors of wire, I used an unusual copper chain that consists of sections of several flattened oval links separated by sections of fine figaro chain - 3 equal lengths of the fine figaro side by side. The effect is really quite striking! 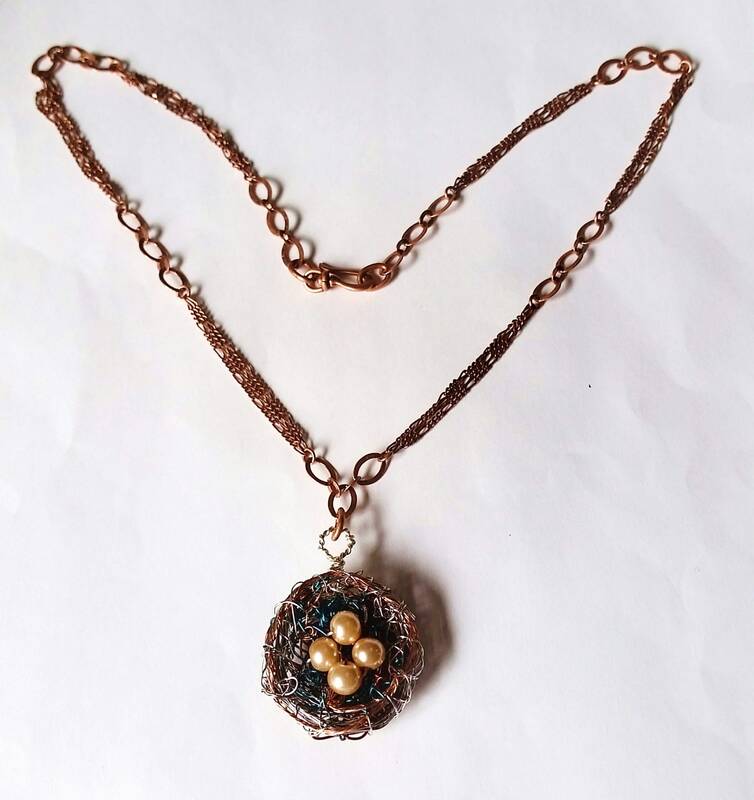 The length of the necklace chain is approx. 22 inches. 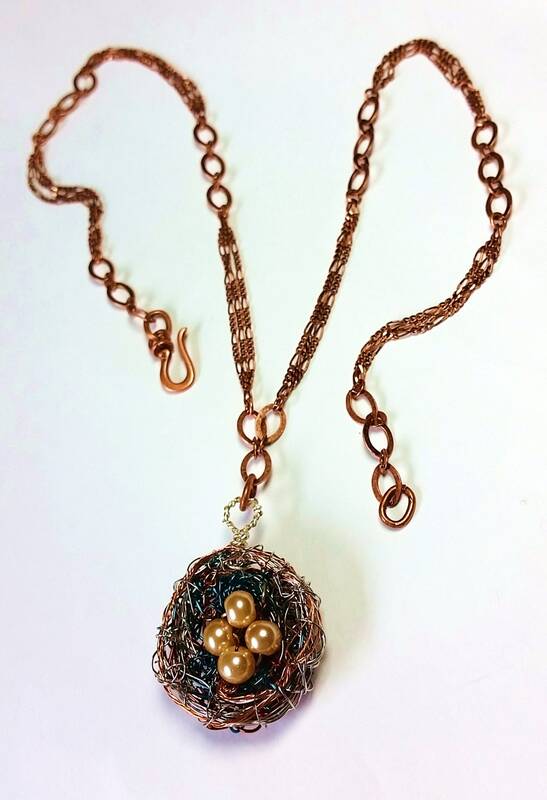 The closure is a flattened copper swivel hook.